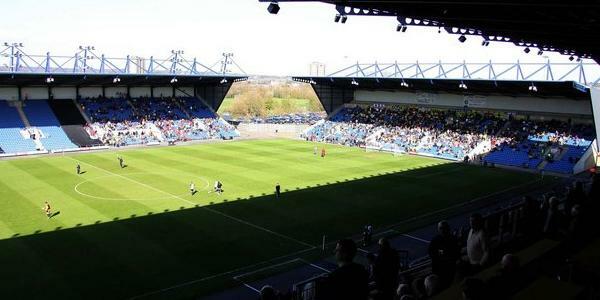 Construction of The Kassam Stadium, which replaced the club’s old Manor Ground, started in 1996, but due to financial problems works were halted in 1997 and not resumed until 2000. The Kassam Stadium finally opened on the 4th of August 2001 with a friendly match between Oxford and Crystal Palace (1-1). The stadium had originally been planned to have 15,000 seats, but in the end only three out of four stands were built and one short end was left open. The Kassam Stadium lies in the far south of the city of Oxford, about 4 miles from Oxford Rail station, the city centre, and the University colleges. By car, from the M40 motorway (which runs east of the city), take junction 8, and join the A40 toward Oxford. After about 4.5 miles, at the Headington Roundabout, take the first exit onto the A4142. Keep following the A4141 for about 4 miles until the Heyford Hill Roundabout. Follow the football sign left (first exit), and from there the signs to the stadium. There is generally more than enough parking available at the stadium. From Oxford city centre the stadium can be reached with bus 106 (or 106C). Catch the bus from St Aldate’s (stop G1) in the direction of Watlington. Get off at stop Kassam Stadium. The ride takes about 25 minutes. Around mid-day buses only leave every hour, but during rush hour about every half an hour. Before 9:00 am and after 6:00 pm the bus also connects with the Rail station. Tickets for Oxford United games can be bought online, by phone +44 (0) 1865 337533, or at the Ticket Office at the stadium. Tickets can also be bought at the gates of the stadium on the day of the match. 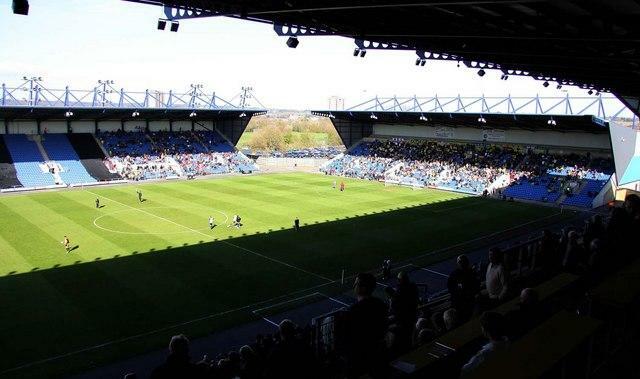 Oxford’s attendance are among the highest in League 2, but the club hardly ever sells out. Ticket prices range from £19.50 for a seat behind to goal to £23.50 for the upper part of the South Stand. Tickets are £2.50 cheaper if bought in pre-sale. Oufc.co.uk – Official website of Oxford United FC. Thekassamstadium.com – The Kassam Stadium event management website. Visitoxfordandoxfordshire.com – Official tourism guide to Oxfordshire. Thames-travel.co.uk – Oxford public transport information. Probably the greatest stadium in the UK! Well sadly not. Although as a place to watch football, it is markedly better than the quirky old Manor Ground. The North Stand can get lively if there are many away fans. Personally as an Oxford fan, I don’t rate the Kassam Stadium much – all a bit soulless; and frankly an embarrassment that it’s only got 3 sides. However, despite that it remains easily one of the better grounds in League 2. Oxford is a good place for a day or weekend out, but be warned the ground is over 4 miles from the City Centre.